pride, professionalism, academics, and safety. We are proud to be Willow scholars and let the community know who we are at a glance with our uniforms. Willow scholars spend a lot of time in their community, and we regularly invite the community into our school. Uniforms help reinforce a sense of professionalism in and out of the school building. We believe Willow scholars should focus on their academic journey and not on their own or their peers’ clothing styles. Uniforms help us all keep the focus where it belongs. Willow has several types of learning spaces, including classrooms, the garden, and the kitchen. Willow scholars also experience movement and physical activity throughout the day, not just during specific times. Uniforms help keep us all physically safe. 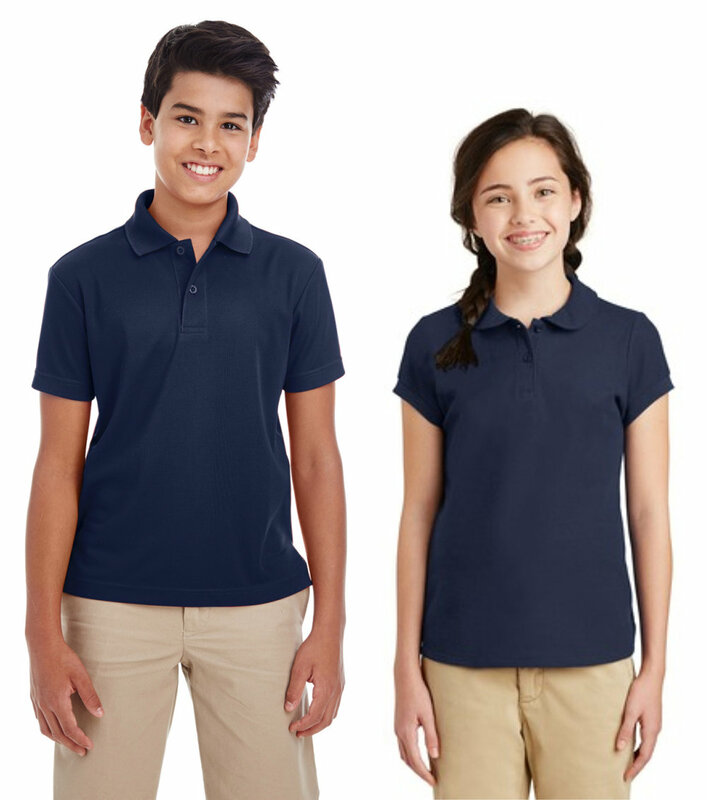 We recognize that purchasing uniforms can be expensive and that confusing guidelines can make buying school clothes difficult. We have simple and clear guidelines, and any clothing available through Willow Public School will be inexpensive and easy to purchase. Willow scholars will not be scrutinized, shamed, or sent home for uniform violations. If a scholar comes to school out of uniform a staff member will talk with the scholar about the uniform and the reasons we wear them. Staff will contact parents to let them know about the conversation and offer any needed help to make sure the scholar is in uniform. Any solid black or navy blue long-sleeve or short-sleeve shirt. No words, designs, or visible logos. Any shoes with flat, non-skid soles. This includes shoes and boots of any color. If scholars wear boots, they should bring athletic shoes to change into for Health and Fitness. Any beanie-style or stocking cap headwear. Staff will ask scholars to remove the hat and check it in at the office if it is a distraction or safety issue. No offensive logos or words. No hoods, caps with brims, or costume-style hats. Any solid black or navy blue knee-length dress. No stretch or athletic pants, no jeans of any color. Solid black or navy blue sweaters or sweatshirts only in the building. For safety, necklaces are to be worn only inside shirts and hoop or dangling earrings are not allowed. Scholars will be reminded about the dress code and may check in clothing or accessory items with the office if they are a distraction. Those items will be available for scholars to pick up at the end of the day. Staff will make final decisions about dress code and scholars will call home if they are not in uniform. Every student gets a free Willow T-Shirt. If you don't have one yet, please visit the Willow Store and choose a shirt. Use the coupon code STUDENT-SHIRT. You can pick up your shirt at the school. Uniforms help keep us all physically safe and following health code guidelines. For occasional news and updates from Willow, sign up for our newsletter below.